This Thursday the 1st of March is World Book Day and children up and down the country will be dressing as their favourite book characters for school. 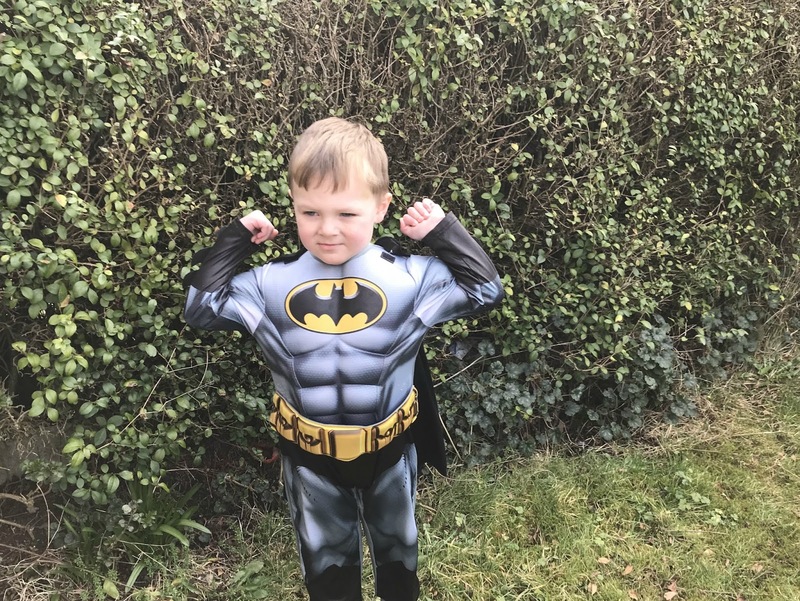 My children are so excited as they love dressing up and the idea of going to school in fancy dress sounds like such a treat for them, as they are in reception and nursery school so World Book Day is all new to them. While my children were looking forward to dressing up I was feeling a bit stressed as I am not at all crafty and the idea of spending hours creating a costume is just not me at all. Luckily George at Asda have an amazing range of World Book Day costumes this year and they are sure to have costumes that will suit any child, from nursery rhyme characters, fairytale characters, superheroes, Princesses and even Roald Dahl and David Walliams inspired costumes too. So we headed to the Asda Byker store just outside of Newcastle in search of a costume for my 3 and 4-year-olds to wear to school on Thursday. 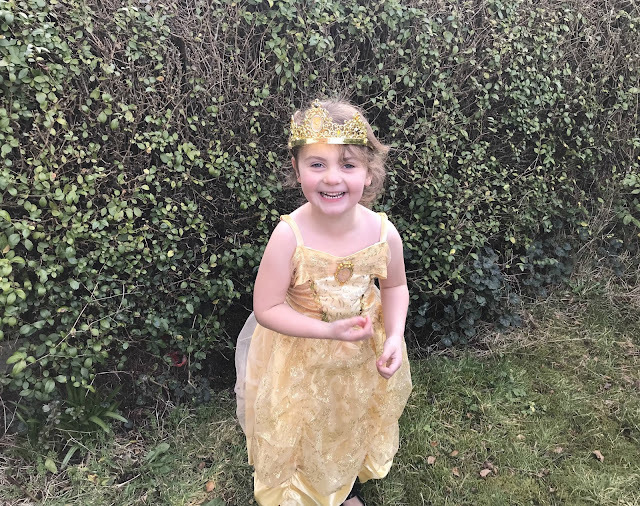 As soon as we entered the store there was a huge rail full of costumes, my 4-year-old daughter spied a Belle princess dress (£15)and was adamant that was what she wanted. She made a beeline for it and had grabbed it off the shelf within seconds, guarding it so we could not try and change her mind. I also spied a Little Red Riding Hood outfit that I just knew she would look adorable in so I sneaked that in the basket too as it was just £13, which is such great value. My little boy couldn't make his mind up what he wanted to be, but he soon settled on a Batman outfit (also £13), which I know is not technically a book character but it is a comic character and at just three-years-old, he doesn't really understand the difference. The children could not wait to get home and try their new costumes on. Once home I was really impressed with the outfits, every outfit was well made and great quality, they looked great and they also all came with extra accessories - such as masks, bags, capes and tiaras making them amazing value. The range of outfits available was really good too and I can not fault the outfits at all, I would happily rate them five stars on everything and have been recommending them to all of our friends and family. 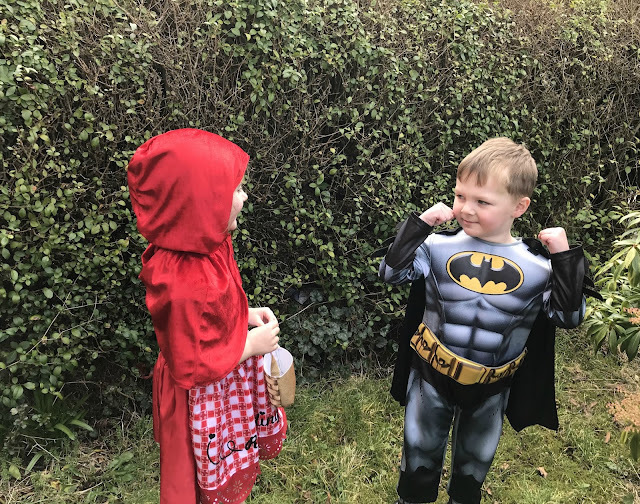 The children both love their chosen outfits and can not wait to go to school for World Book Day dressed as Little Red Riding Hood and Batman (Belle has already been worn to a birthday party). 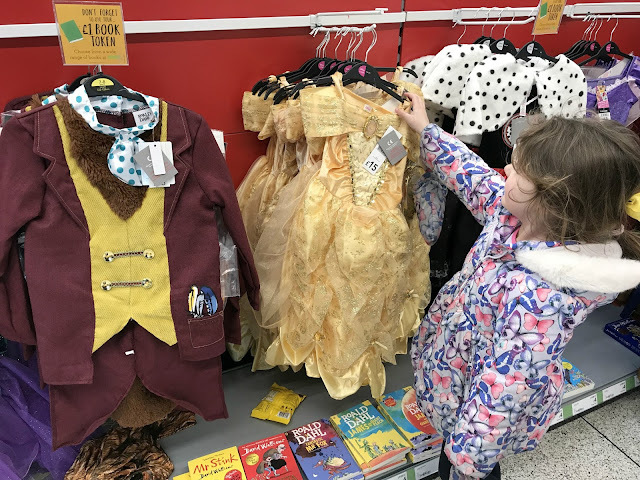 If you are still looking for a World Book Day outfit for your child then I really do recommend checking out the range at George at Asda. Buying outfits from Asda has made things so much easier for me and I will most definitely be buying more costumes from Asda in the future. What are your children dressing up as for World Book Day this year? Disclosure This is a collabrative post with Asda, I received these costumes for the purpose of this post and was compensated for my time. Ahhh loving the Little Red Riding Hood one. My daughter is going as the monkey from the Monkey Puzzle this year! What a great way to take the stress out of World Book Day! We've gone with Paddington - a pretty lazy choice on my part, as he already has the duffle coat and wellies, I just had to get a hat! But next year I think we need a trip to the supermarket. You have got to love Asda for fancy dress...really good outfits for very mummy friendly prices...got my little ladies harry potter sent from there to Sweden for her birthday! Oh these costumes look so sweet! My daughter's school won't let them be Disney characters, princesses, superheroes or footballers for World Book Day which always limits what my daughter can be! This year we aren't here for book day or she would have been Frida Kahlo! I love Asda clothing. Little Red Riding Hood has to be my favourite from this post. For whatever reason, my sons school in Florida doesn't celebrate World Book Day; instead they spend the week celebrating a different author each year, and this year it's Dr Seuss. He'll be dressing as a character from one of the books (still no idea which one!) and making green eggs and ham at school on Friday! These are great costume ideas, and what a bargain! Not sure what my kids are wearing for World Book Day tomorrow. It is freezing at the moment but let's see. They have a great range at Asda. I remember trying to make my kids costumes when they were at junior school, mostly the day before as they never use to tell me too. They both look great. 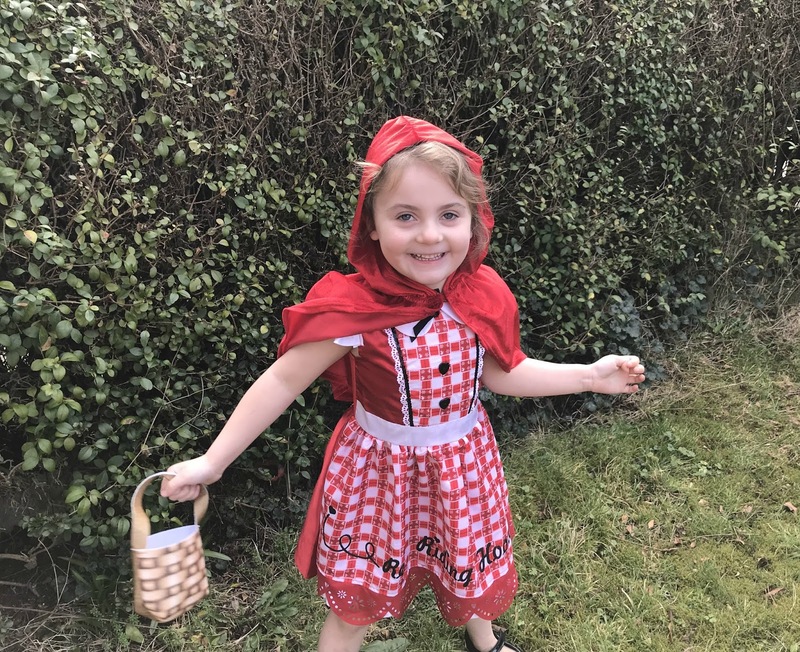 And I'm glad you sneaked in the Red Riding Hood costume, your daughter looks fab in it. I'm not sure if they celebrate it here in Portugal. We will soon find out! Those are cute costumes. The kids are so adorable! Oh my, how cute!! I wish World Book Day was celebrated when I was a little girl, I'd have loved that! Brilliant outfits and bargain prices! I love asda for dress up costumes, is so affordable isn’t it! Our book day was cancelled due to the snow!